Thoroughly Modern Media came to us to produce the opening titles and content graphics for a four part documentary series on Channel 4. Heston Blumenthal studies space food production and creates tasty food for Tim Peake while aboard the international space station. 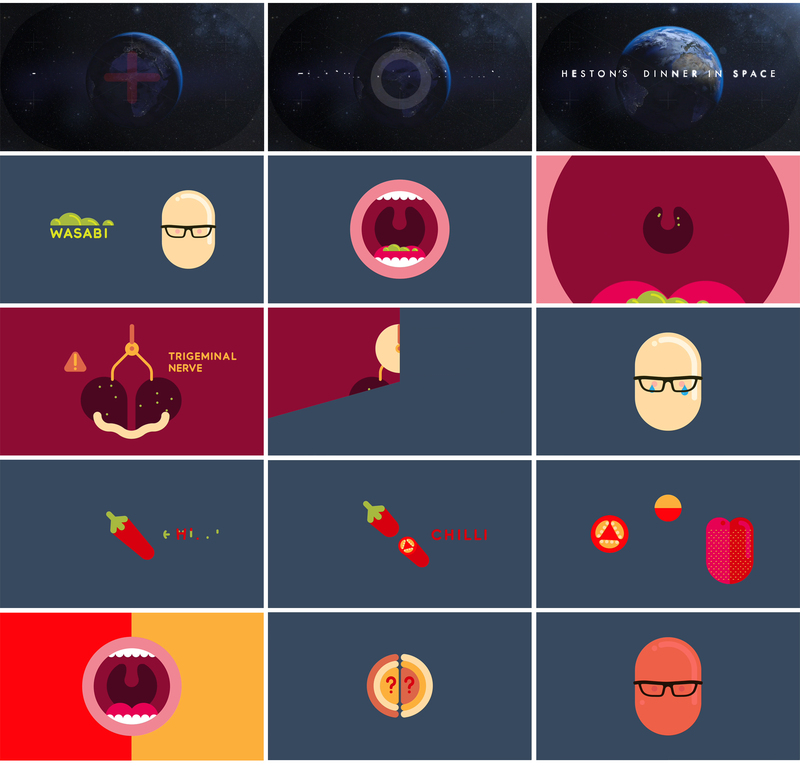 Artillery created a simple yet fun style to explain processes through the show while creating a title card that expressed the outer space nature of the show.